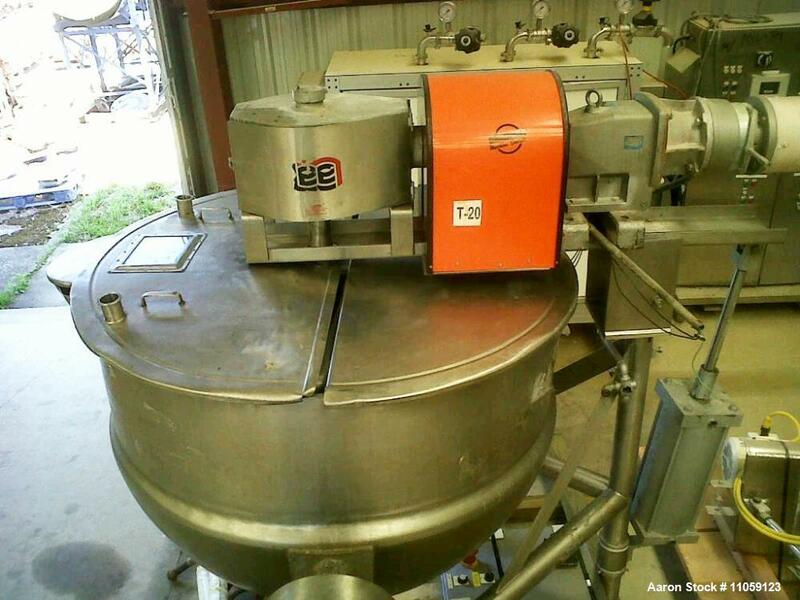 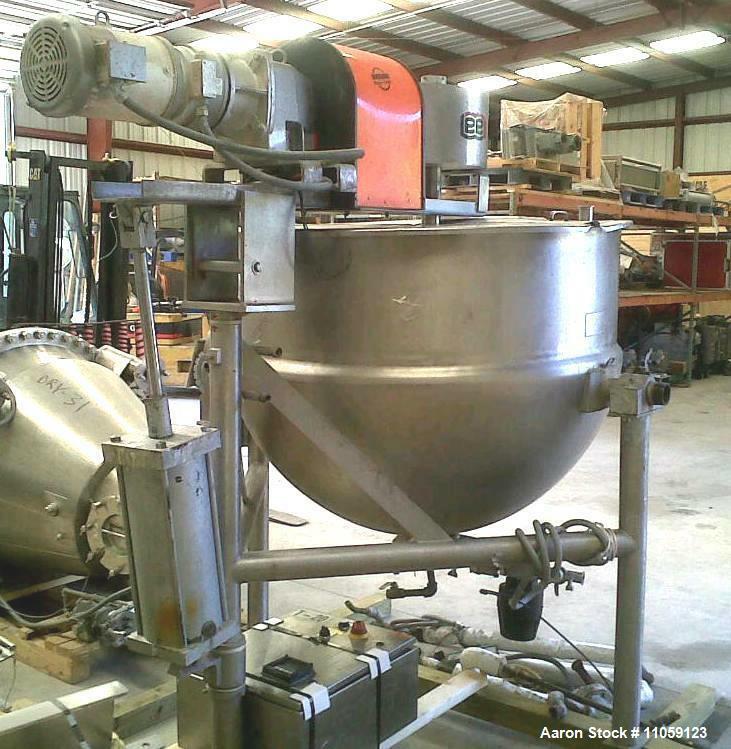 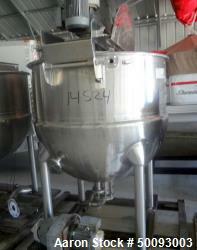 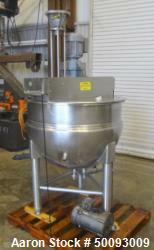 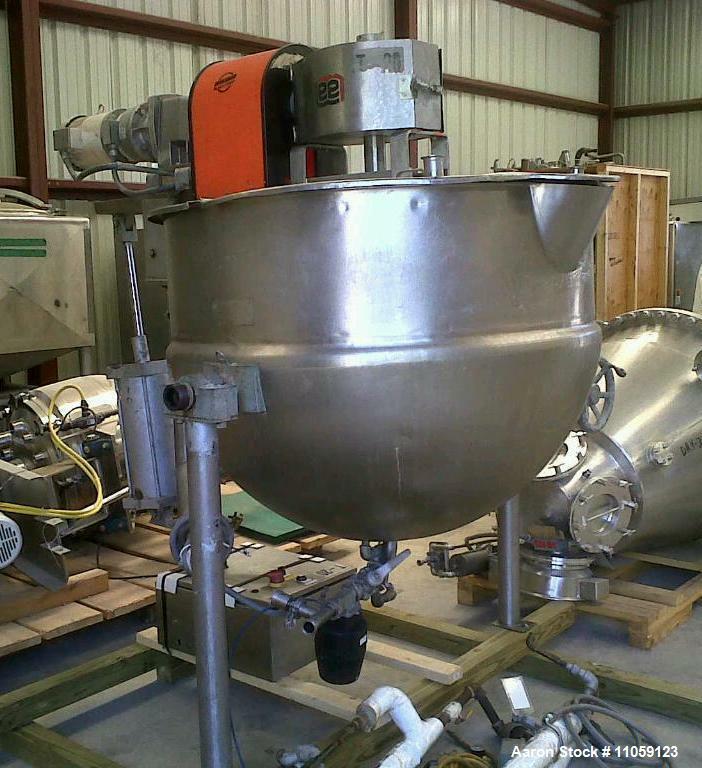 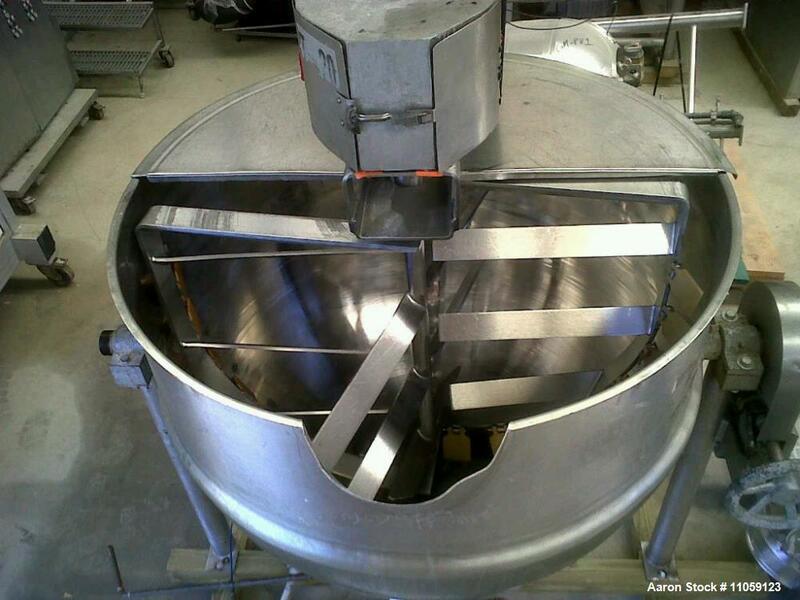 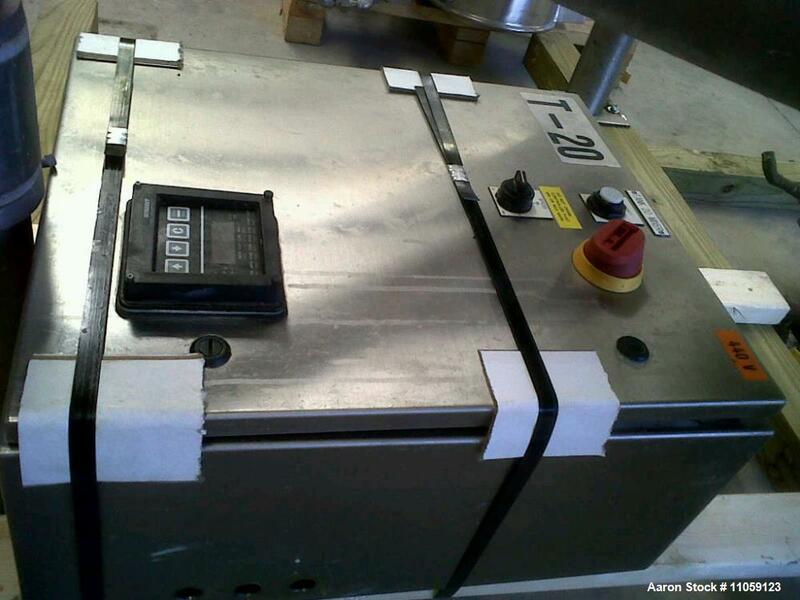 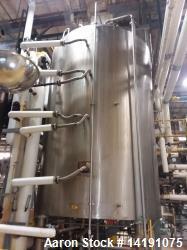 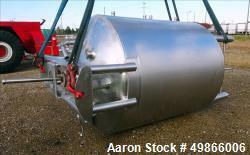 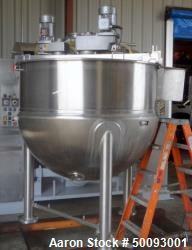 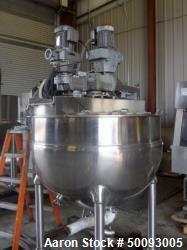 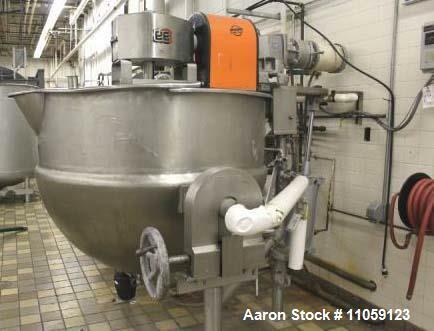 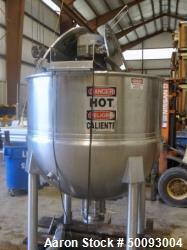 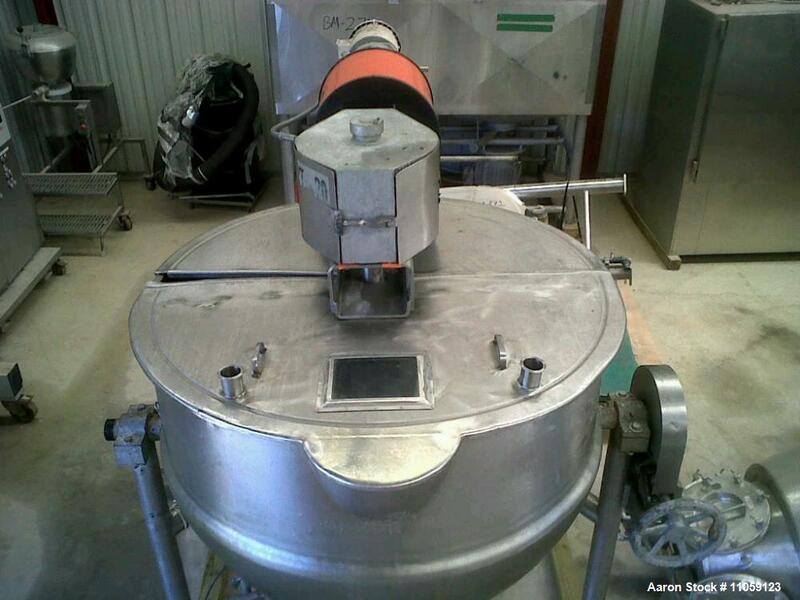 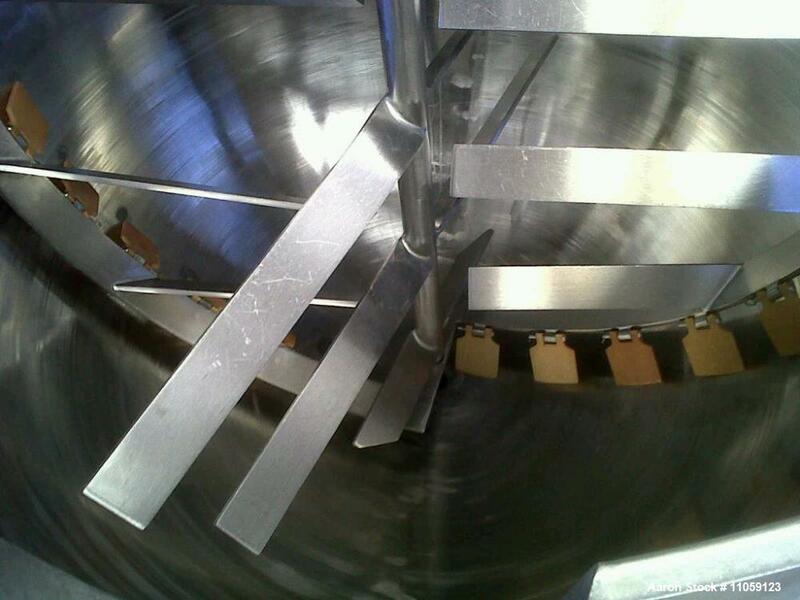 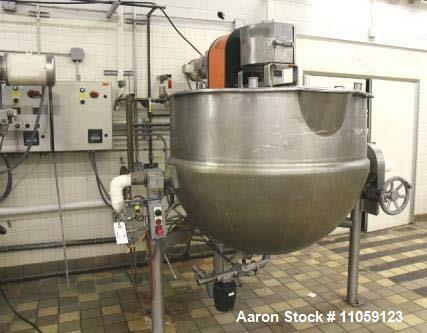 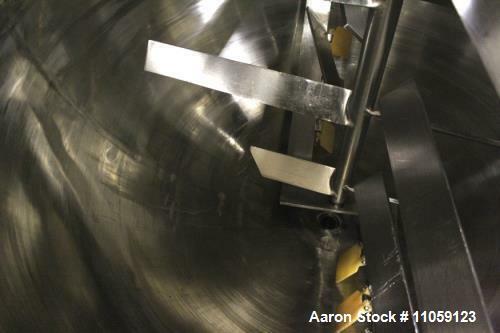 Used- 300 Gallon LEE Jacketed Tilting Mixing Kettle. 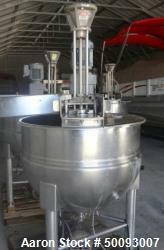 Double motion scrape agitation. 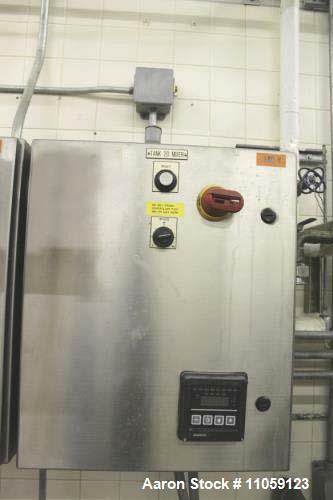 Jacket rated 40 PSI at 300 deg.F. 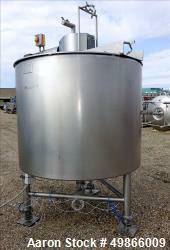 Model- 300CWD 9MT. 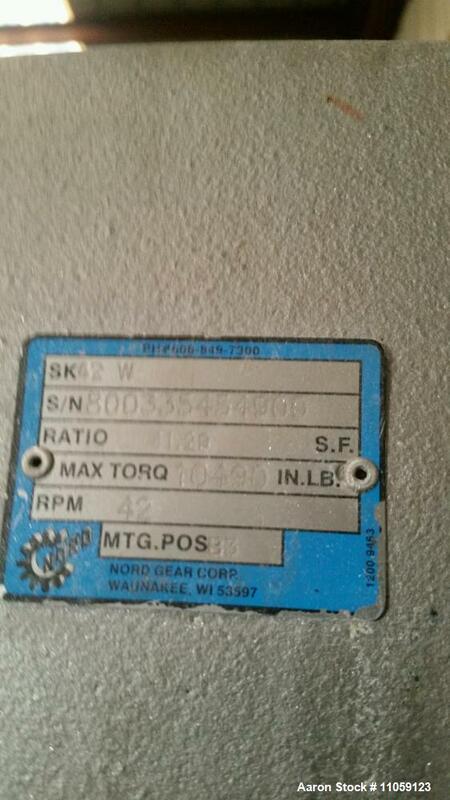 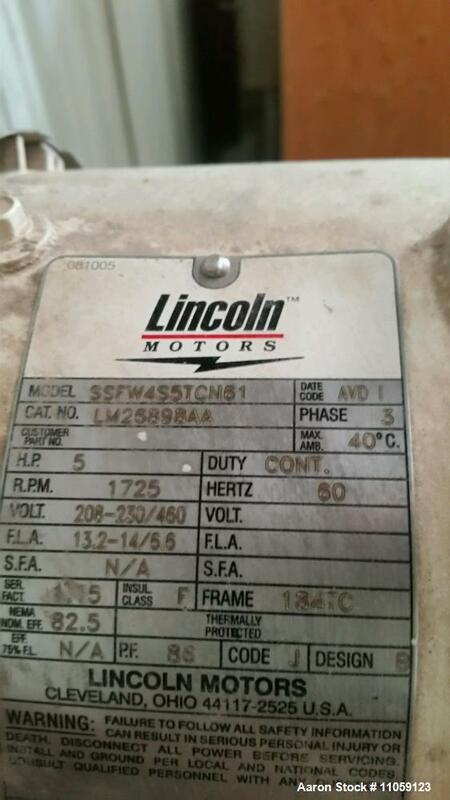 Has a 5 hp 1725 rpm, 208-230/460 volt motor into a Nord gear reducer with 42 rpm output. 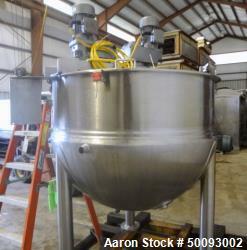 Has variable speed controller for mixer. 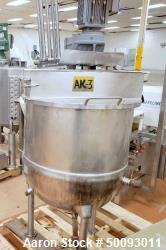 Last used in sanitary application in cosmetics plant.